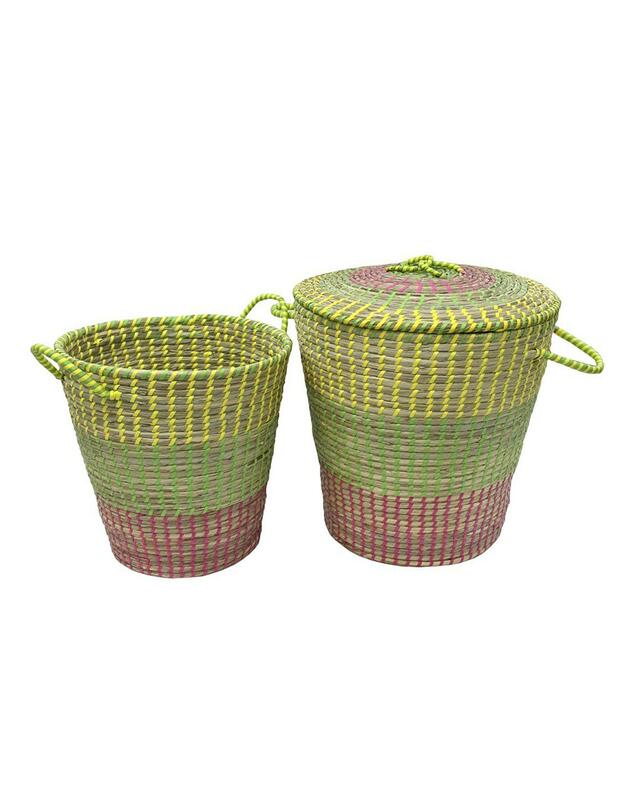 Get organised with this set of 2 Sunburst Baskets, handwoven durable seagrass in an on-trend green, yellow and pink weave pattern. The natural seagrass will lift and brighten any interior space with a casual, contemporary touch. Stylish and practical, this set will help keep your home well-organised. Large with lid and handles: Dia.40/30 x H.40cm. Small without lid: Dia.34/24 x H.36cm. This product has been handwoven, therefore finish may vary from image.